This 2-night fundraising event for The Ark takes place at Hill Auditorium on Friday, January 25th and Saturday, January 26th, 2019. 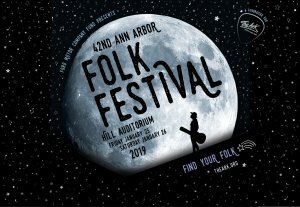 The Michigan Union Ticket Office will be selling upper balcony, regular and Gold Circle tickets to this event. Below are the purchasing options. *Note: To get a discount when purchasing both nights, select a 2-night series pass. Series tickets must be of the same quantity for both nights and in the same pricing level (upper balcony, regular or gold). All sales final. No refunds or exchanges. *Note: Program is subject to change.